I have previously reviewed the 26 pieces brush set and as you may know I am not satisfied with the quality. Today I will be reviewing the 27 Radiance brush and my opinion on this particular brush is going to be completely different. Unlike the brushes released in her big set, this Radiance is a gem. When I saw how thick it was, I was in shock, how am I supposed to use this brush for foundation on the face ? But that was easy. I washed it, it shed a fair amount of hair but I considered that shedding reasonable for a new brush. I have tried it with Burberry’s foundation, I was so happy that I wanted to make sure : I removed everything and I started all over again… the result was as good as the first time ! The application was a bit clumsy at first, since the brush is so big you don’t know how or where to start… I placed the foundation on my face with a flat foundation brush, then I blended with this Radiance from the nose towards the borders of the face and buff either in circular motion or straight lines, depending on the zone. I also tried it with contour and blush, the result is flawless with all the products. Before this brush I was using the Sigma F80 and buffing with a Mac 187. You clearly see the width difference with the other Hakuhodo brushes. Although I love the Hakuhodo, this Radiance is the one I will take with me everywhere. I have only tried it with liquid and cream products but it is also meant to be used with powder. 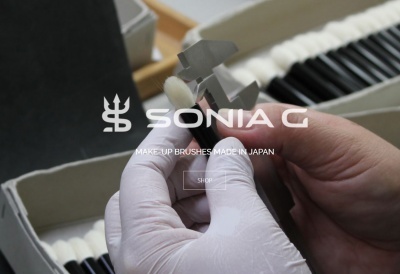 The other Hakuhodo are also designed to be used with powder, cream and liquid. skin tone is in those areas!). Unlike the Mac 179, the bristles of the Radiance are not entirely flat, I love that since it’s softer for my dry skin. I don’t need to set my foundation with powder. I totally recommend this brush and it’s today one of my favorite brushes ever. I wish the quality of the set was as good as this brush. Rae Morris, n° 27 Radiance brush review was last modified: August 19th, 2013 by Sonia G.
Thank you so much for this excellent review. There is so little information on these brushes, and I have really been debating whether or not to buy the set. 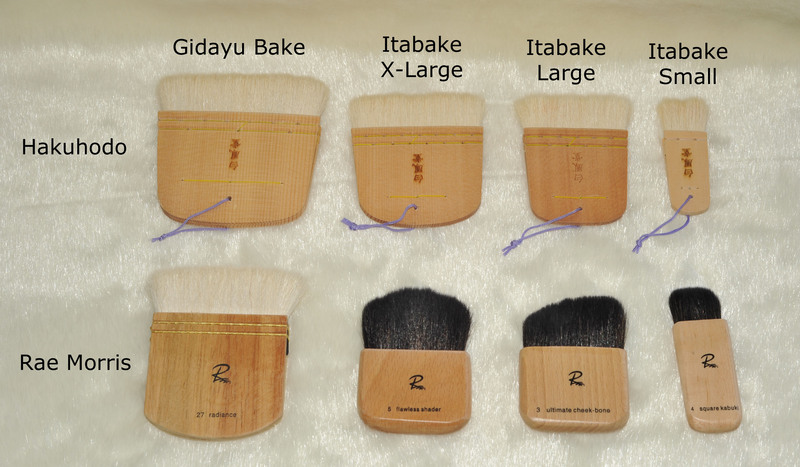 I am intrigued by the little square brushes, and I have also been considering purchasing the Hakuhodo Itabake brushes. How do you find them for applying foundation? Which sizes would you recommend? Hi Dena, first of all, thank you for your nice comment, I really appreciate it ! The Hakuhodo Itabake are much thinner than the Radiance, they are excellent for a precision and blending application of contouring and highlighting but I don’t use them for foundation. Their bristles are more firm, flat and narrow which also makes foundation application and blending longer, I prefer the Radiance, the bristles are less firm, less flat and cover a larger area, this means less strokes and better blending and tolerance on my very dry skin.. which answers your second question below 🙂 I can also use the Radiance with thicker foundations if I want to build a bit the coverage and I don’t need to powder or buff afterwards but again, my skin is very dry. I hope this helped a bit and thanks a lot for stopping by ! Thank you so much for getting back to me. That is really helpful info. I still want the Hakuhodo brushes – just need to decide between the small and the medium. Which would you say is more versatile? Ooh, great! I am intrigued by all the square brushes, but I’m about to place an order with Hakuhodo. I’ll probably wait until your next reviews – you have written really great reviews, and I’d love to see how the RM and Hakuhodo square brushes compare.. By the way, I’m in the UK, and the radiance brush is not sold separately here; it is only sold with the larger RM brush collection. Also, would love to hear how you find this type of brush for applying foundation on dry skin. Thanks again! Thanks so much! I actually contacted Hakuhodo for advice. 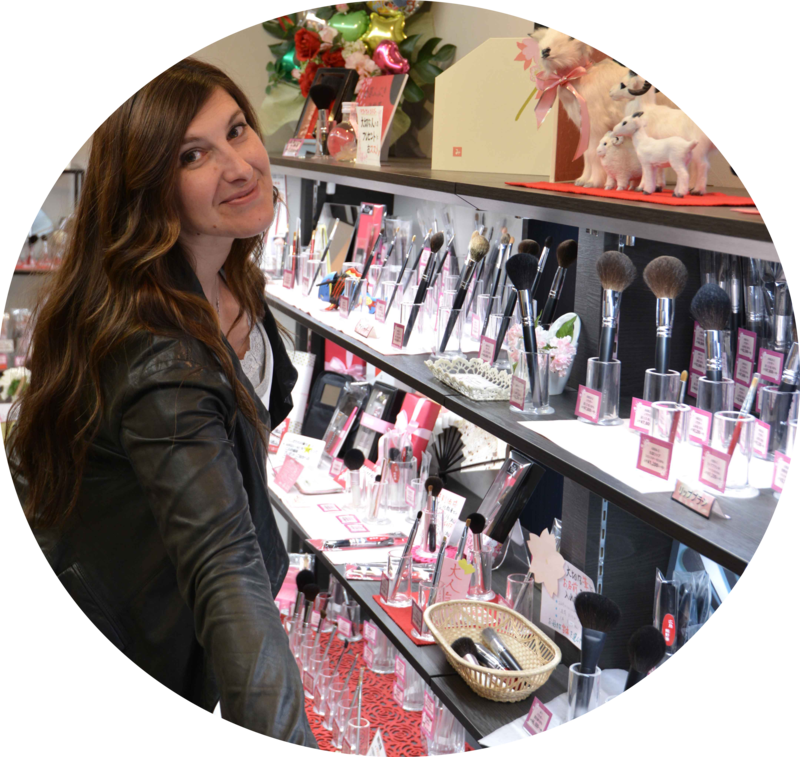 They were very helpful, and I have decided not to get the itabake brushes, as I think they are too rough for my sensitive skin. Thank you again for your advice. I will look out for more of your excellent reviews. Thank you for letting me know ! Hakuhodo have an excellent customer service, I have contacted them many times and they were always really helpful and honest. They have released some new brushes that I saw in Gossmakeupartist youtube video, he got them in IMATS London and Hakuhodo confirmed to me that at this moment they were only available for the trade shows, I hope they will be available online since they look amazing (and there are many white ones, I love white brushes since I use a lot of cream products). Your reviews are amazing and precise, I am so impressed! 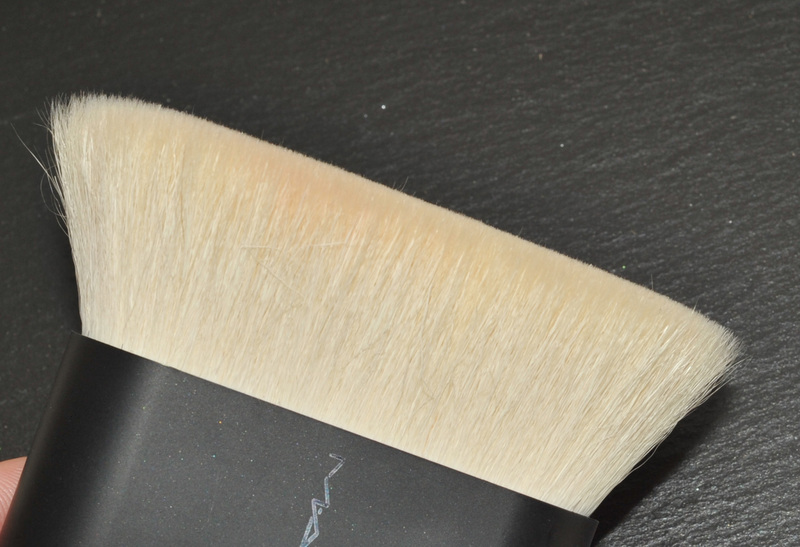 I was wondering what you thought about the RM Ultimate Cheekbone brush? Is it worth getting or do you have another fav for contour? At this moment I am using the cream countour from Tom Ford on a daily basis, so I tend to use the Shu Uemura goat brush or the Tom Ford cream brush for that purpose, or even the Radiance. Regarding the Ultimate Cheekbrush, my tests so far were not the best when I wanted to do a precise application of contour, but it was nice when used to blend an sculpting powder and highlighting afterwards for example. eye shadow fall out under the eye. Don’t need to use with product. makeup’s complete – it’s the perfect finishing brush. What I prefer is a small and precise brush for applying contour but this is a nice one for finishing and blending. I hope this helps ! Thank you Sonia for that great review! I too will stick to my Shu 18. Are you still a big fan of the Radiance for foundation? Between you and the Rae video on her using this brush on an Indian girl (like me!) I MUST go for it now! I read your profile and now I know why you are so precise and exact in your writing – you are an IT architect – and me being an Indian, we love those qualities! Anyway, I think you are really lovely and certainly don’t look like in your 40’s. Although I am older than you, in my early 50’s, most of your recommendations speak to me! With warm wishes from Orange County, California! I will be thinking of my sweet followers during my London trip and shopping time and I will probably write a little post about it ! In my personal experience, It’s all about the attitude, rather than age. I can tell from your photos and your writing that you are a happy and content person and that you want to share your fabulous knowledge simply bcos it is exciting and fun to do so! We are oceans apart but we have lots of connections! I was just smiling when I read your comment about your younger BF. My Italian husband is 16 yrs younger than me and turned 39 yesterday! We have been married for 13 yrs. I am not going to go so far and say that at 55 I look 39 but I must look pretty good bcos no one has ever asked us about our age difference! Yes please, post about shopping in London, my fav city, I used to live in W Kensington. I will be there in Oct and thanks to you my shopping list is a mile long now! I love the meaning !!! I am happy that you told me. I know how beautiful India is because I was planning to go there later this year with a friend, actually, this friend is the one that encouraged me to start the blog ! He loves India and goes there very often, we were going to meet there with other friends and his family but that will not be possible this year for me unfortunately. Other plans have come in the way. Amazing that we have these connections, it’s the best thing to get to know all this wonderful people via the web ! I am blown away ! I have to get ready for my trip, my alarm clock did not wake me up… can you believe it 🙂 almost missed the flight ! I’m very curious about the Flawless Shader Brush. It seems like a brush I could use like my dense large fan brush, to apply a dusting of loose powder on my face. I like how it is compact; far more travel-friendly than a large fan brush. What are your thoughts on this brush? I haven’t been able to find a review of the Rae Morris “square brushes” on your blog. Thank you! I look forward to your review. 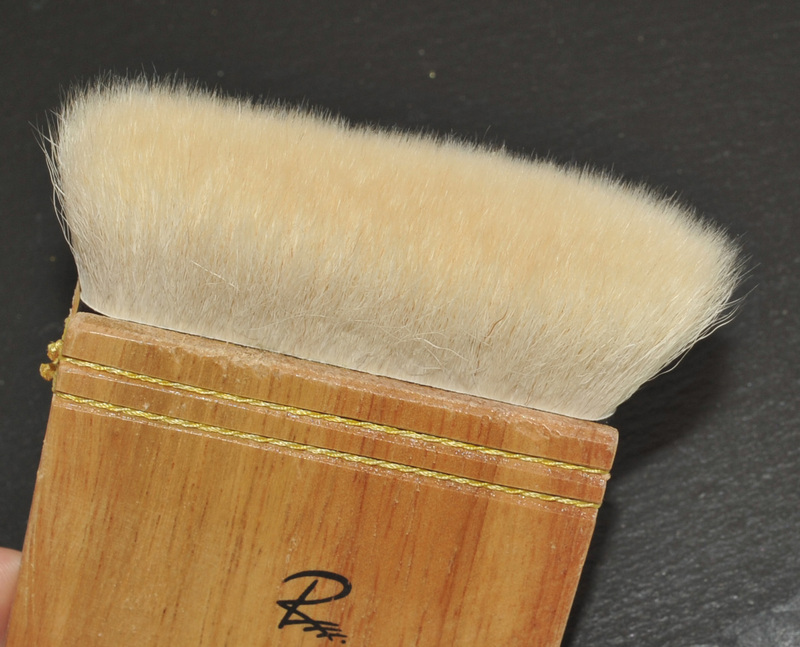 I hope the next set of brushes is more representative of the overall quality of Rae Morris brushes. What was your experience with the RM Customer Service like? The new set is now nearly here, probably I will get it latest next week. I have many things to say about their customer service and I will do so very soon. They did replace my set, they sent me a new Radiance as well… but, I will have to pay A LOT of taxes because the replacement set comes from Australia and not from the UK anymore. I sure wasn’t expecting that. If after all, I am happy with the set, it’s going to be fine, if the quality is not improved I will be very sad. I finally got my RM Radiance and #8 brush after reading your reviews and very happy with both, so thanks to you! The Radiance is everything you said it is and it is truly awesome for foundation. I have not tried the #8 brush yet but I am sure it will be lovely. I was thinking of replacing my entire old Chanel brush set with Hakuhodo, E Bess etc. As soon as I compile a list I will ask for your opinion, I just love your reviews! Sonia, having to pay the duty charges doesn’t seem right. I understand that the company can’t control what are the import laws and tariffs; however, I assume there was nothing to indicate the source location was going to be different. Further, Rae Morris was correcting problems with their product. I’m sensitive to duty and shipping prices because I don’t reside in the States. Anyway, can u pls take a quick look at these radiance look-a-like beauties? Do u think the biggest size is almost the same as your radiance? Thanks so much!!! how weird… they are exactly the same as the Hakuhodo ! and they also have the Ebony ones… 😮 I have to take some time to browse all these links !! I have no idea if they are the same quality though. If they are the same as the Hakuhodo, I have these series, they are good brushes but they do not equal the finish of the Radiance. These are too flat and thinner, the Radiance is less regular hence the flawless blending, they are not dupes for the Radiance, I am really sorry. I got them thinking they would be similar but they aren’t. Maybe you can see it here. where abouts can i get one of the 27 radiance brush? they are sold out on the actual website. Is there another website? I did that myself and I was notified when it was available. I have also ordered https://wawaza.com/products/Yoshiwara-Japanese-Wide-Facial-Brush.html but I don’t know if it is the same at all. I am just not sure it’s wide enough and that would totally not fit the same purpose… so I’ll let you know. Hi, have u heard of ecotools face and body sculpting brush? I just wonder if u can do a comparison between it, Mac 179, radiance 27?? I think it’s retailed for $12 in USA. I don’t have the Ecotools but it looks really interesting, I may get it soon then. Do you already own it ? Your review speaks nothing but truth, Miss Sweet Make Up Temptations 🙂 I am sure of that even though I have never used the Itabake or the Radiance brushes. Now, i can’t decide if i was prompted to do what i did by sheer genius or miserly madness, but I have sure found a great foundation brush in the shellac brush I bought at Ace Hardware! It has given me the most excellent airbrushed results every time, and I have thrown every thing i could think of at it, except for shellac lol. Since these brushes work on the same principles, your lovely luxe brushes should be at least as good as mine lolollol. I can only imagine how lovely they must feel going on on your skin! Of course, if I weren’t so crippled by guilt each time i overspend (you may interpret that to read I Am Scrooge or I Am Always Skint lol) I wouldn’t have to imagine. Or I could sell my grannie. Oh wait, that was how I got my Shu. Lol. Yours is a great blog, btw. I love coming here to drool over the pictures. And the words are nice, too! And so funny omg !!! Finally ordered the radiance brush after having this little baby already 10 times in the basket, but not checked out (am I the only one who did this?). I was using Kuyodo Fu-Pa 02 (and many others) until now – really excited to use this one in the future. no you are not the only one 😉 please Anna let me know if you are happy with it 🙂 I know it’s a lot of money to cash out but I think it’s worth it..
My brush arrived yesterday – and I absolutely in LOVE with it. It is definitely worth the money. If you compare to Hakuhodo and the others – it is not even that expensive. Thank you Sonia for this recommendation and for your blog! oh I don’t know, sorry Stephanie, I remember somebody telling me about it some time ago but I totally forgot to get it, I will try to get it if it’s possible and compare. yes I did and it’s nice, although I don’t own this Nars I am pretty sure the Hakuhodo is better, I think Dena told me (http://www.beautifulactivenourished.com/) don’t hesitate to ask her or check her reviews, I think she wrote about it. I am trying another little one from Hakuhodo for contouring, it’s a mini-fan brush but I can’t find it on their website to show it to you and I am travelling .. if I find it I tell you. It won’t be as precise as the itabake though. I would chose the Radiance if you can, because to place the foundation you can do it with any brush, but the flawless finish for me there is nothing like the Radiance to achieve that ! Thank you for all of your amazing posts. 1. Do you happen to know what the material N.27 is made of? Is it soft enough compared to the Japanese brushes? 2. Did you purchase it on their website? Thank you!!!! cannot love your posts more!!! And the next question, which of those tools you would suggest: beauty blender, sigma f80 or rae morris radiance? I guess this is what many people want to know:) hugs darling! I started with the F80, then I got older I needed sheerer and more subtle coverage and a brush that was really not feeling like a mass on my skin (but I used the sigma for years!) so I switched to more appropriate brushes. The beauty blender gives stunning results but it takes me forever so I don’t even use it anymore. The Radiance is more a finishing brush to blend everything once it’s roughly applied, so I clearly prefer the Rae, more use with that one!